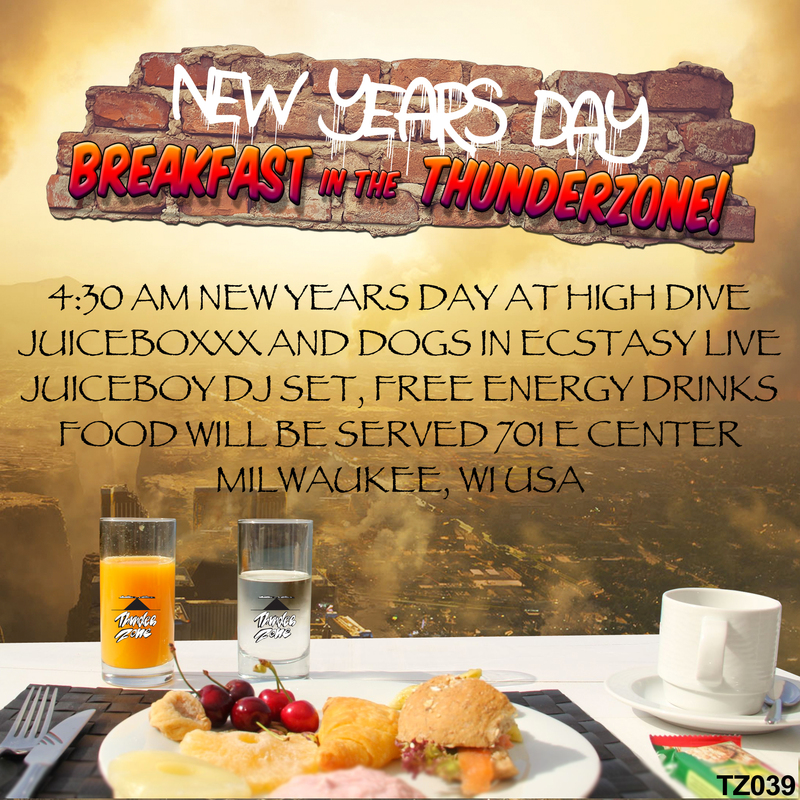 AT 4:30 A.M. ON NEW YEARS DAY 2016 THUNDER ZONE ARTISTS JUICEBOXXX AND DOGS IN ECSTASY STAGE A CONCERT AT HIGH DIVE IN MILWAUKEE, WISCONSIN FOR ALL THE LATE NIGHT RAGERS AND THE EARLY RISERS. BREAKFAST SERVED. INSANITY IN THE HEARTLAND. POSTER BY NICK DEMARCO.